Glucose Syrup (Wheat and/or Corn), Dark Chocolate (Cocoa Mass, Sugar, Cocoa Butter, Soy Lecithin [an Emulsifier]), Sugar, Wheat Dextrose, Powdered Sugar (Sugar, Potato Starch), Gelatin (Animal), Natural Peppermint Flavor, Milk Protein. Dark Chocolate Cocoa Solids 55% Min. Contains Soy, Wheat, Milk. May Contain Traces of Peanuts and Tree Nuts. Holiday grocery shopping at Trader Joe’s is a special joy for us – so many new treats to try! It seems every year the TJ’s team cooks up more and more unique and festive items that we can’t resist. 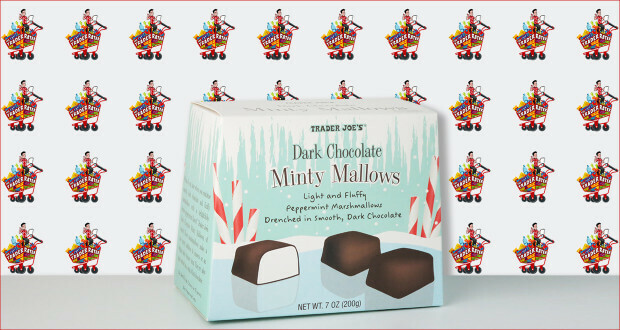 One perfect example: these Dark Chocolate Minty Mallows. Peppermint flavored marshmallows coated in dark chocolate? If you like peppermint and chocolate, these tasty morsels are not to be missed. The chocolate shell is light and delicate, and the marshmallow within is dense and gummy in all the right ways. And these babies are really packed with peppermint flavor – like chewy Peppermint Patties. 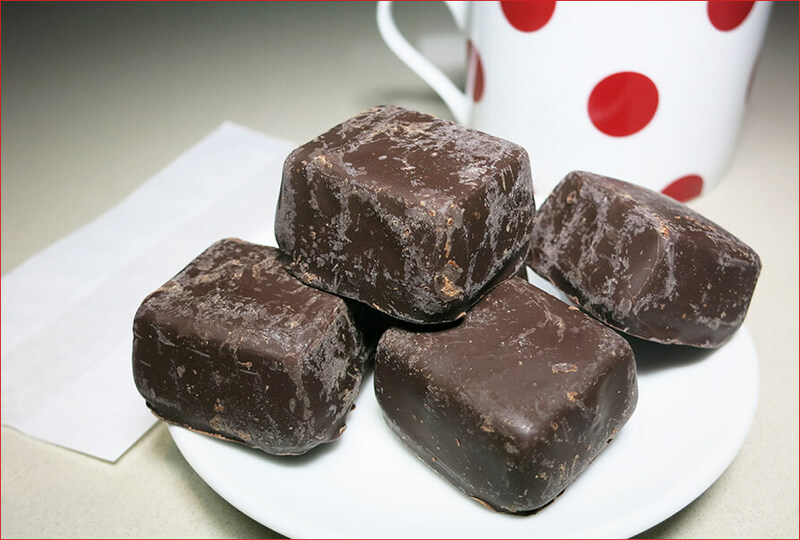 Opting for dark chocolate was a great choice – it makes for a noticeable compliment to the cool minty punch. The result is a really sophisticated treat. We’re clearly sold on these treats, and at $2.99, we stocked up on a few boxes. Aside from a decadent snack for yourself, they make for great little gifts and party treats. Summary : If you're a fan of peppermint and chocolate, these tasty morsels are not to be missed. The cool minty flavor makes for a delightful winter treat.